There are about a zillion Slow Cooker Steel Cut Oats recipes out there, all delicious and moderately healthy. The only trouble is, my kids WON'T eat Steel Cut Oats, but they WILL eat Apple Cinnamon Delight. A rose by any other name might smell as sweet, but if it's called OATMEAL, my kids want nothing to do with it. I love waking up to the smell of cinnamon and vanilla in the mornings. I also love waking up and not having to think about what I'm going to make my family for breakfast! 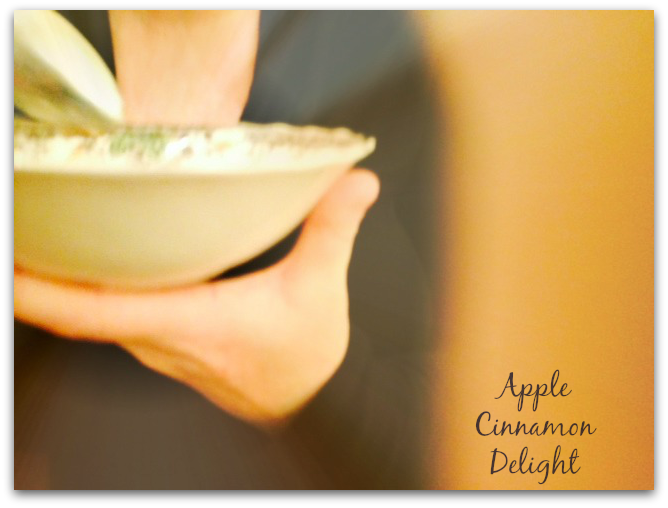 Our Apple Cinnamon Delight recipe calls for more cinnamon and vanilla than others, but that's the way we like it. If you prefer less, just adjust the measurements for your taste. Also, we don't peel the apples. 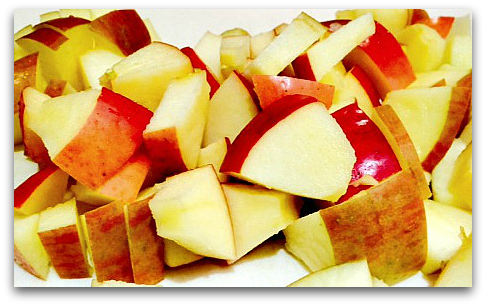 The extra texture and fiber of the apple peels give the oats a nice complexity. 1. Rub the inside of your slow cooker with butter. This will help prevent oat-stickage. Randy will sometimes stir baking cocoa into his. He's from the tribe that holds chocolate as a main portion of the food pyramid! There you have it! 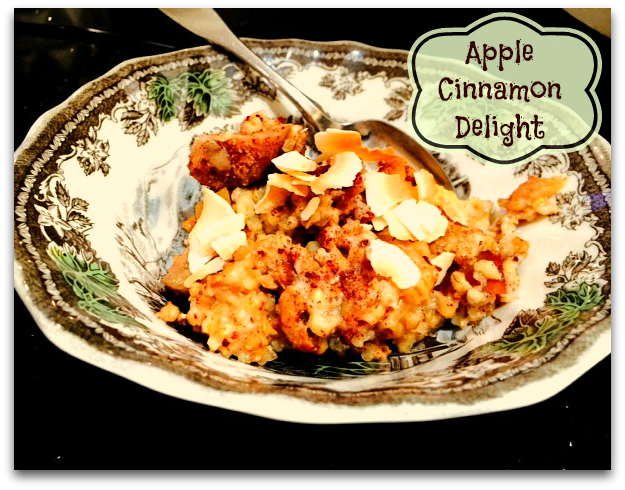 Apple Cinnamon Delight! I'm going to print this out and make it in winter, looks great. It's yummy! I wish I'd had a bit of cream to pour on it, but I made do with milk! Mmmmm!